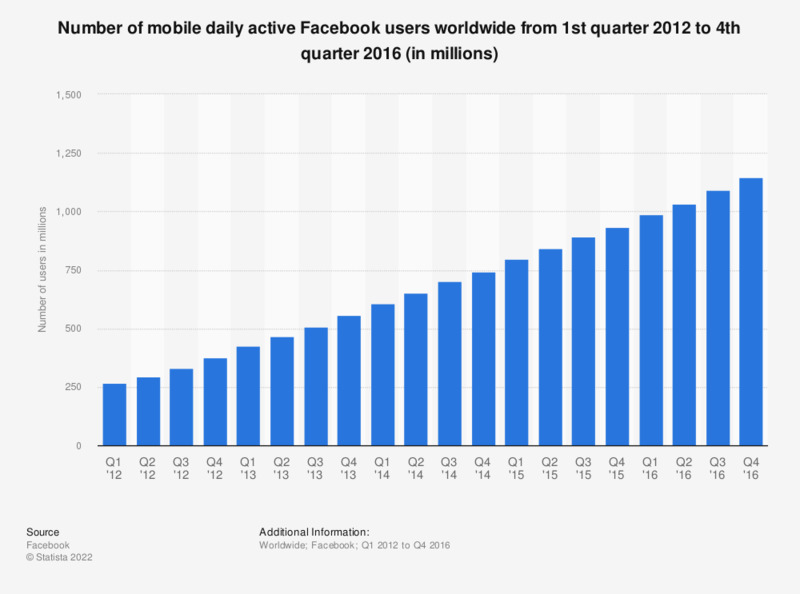 This statistic presents the number of mobile daily active Facebook users as of the fourth quarter of 2016. During this period of time, it was found that 1.15 billion active users visited the social network on a daily basis via mobile. The number of DAUs, mobile DAUs, MAUs, and mobile MAUs do not include Instagram users unless they would otherwise qualify as such users, respectively, based on their other activities on Facebook.